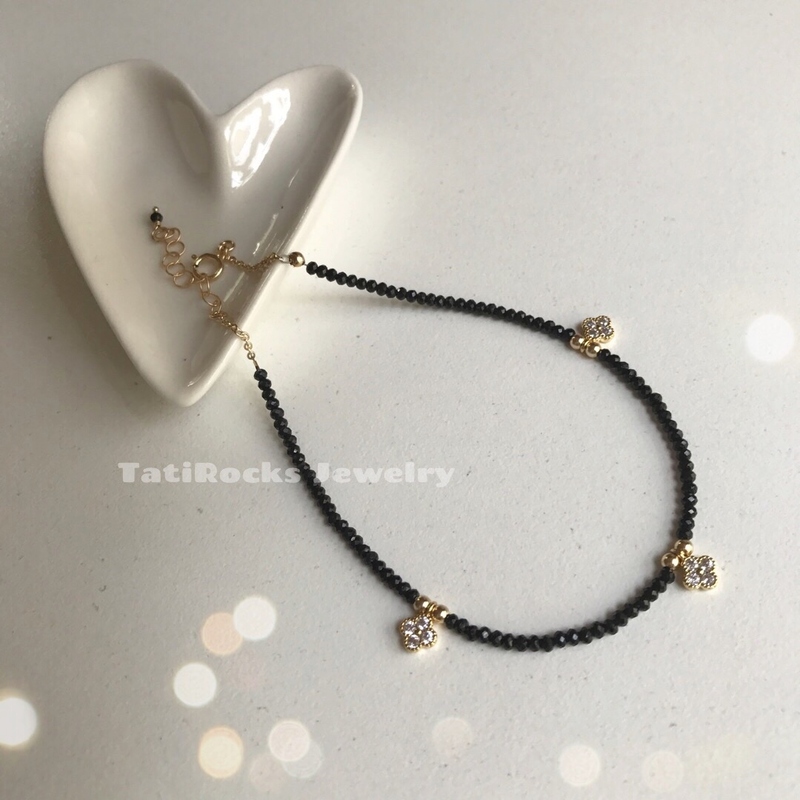 Gorgeous all AAA/top quality Black Spinel stone anklet decorated with three small cubic zirconia clovers. The Black Spinel sparkle like diamonds! The clovers are available in gold, rose gold, or silver overlay. Anklet is available in gold filled, rose gold filled, and sterling silver.